Measuring the injection pressure in the oil-filled gearbox gives especially precise results because of its close coupling with the process. The favorable location results in very low frictional losses. The load cells can be made very compact and will not impinge on the external profile of the machine. 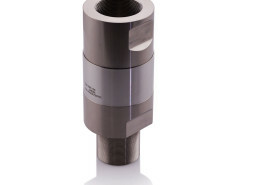 Scalable designs ensure that both low and high pressures can be measured accurately. The sensors are rigid, so that the ball-races experience no axial displacement.